Preview images and cast list for the NCIS: Los Angeles episode "This Is What We Do"
The NCIS team must locate a group of unknown assailants who illegally crossed the border and attacked California Highway Patrol officers. Also, Homeland Security sends over Specialist Sydney Jones (Ashley Spiller), Nell’s older and bossy sister, to assist NCIS with the case, on the 200th episode of NCIS: LOS ANGELES, Sunday, Nov. 19 (9:30-10:30 PM, ET/ 9:00-10:00 PM, PT) on the CBS Television Network. Guest stars include John M. Jackson as Admiral A.J. Chegwidden and Pamela Reed as Roberta Deeks, Deeks’ mother. Some explosive preview images can be found below. 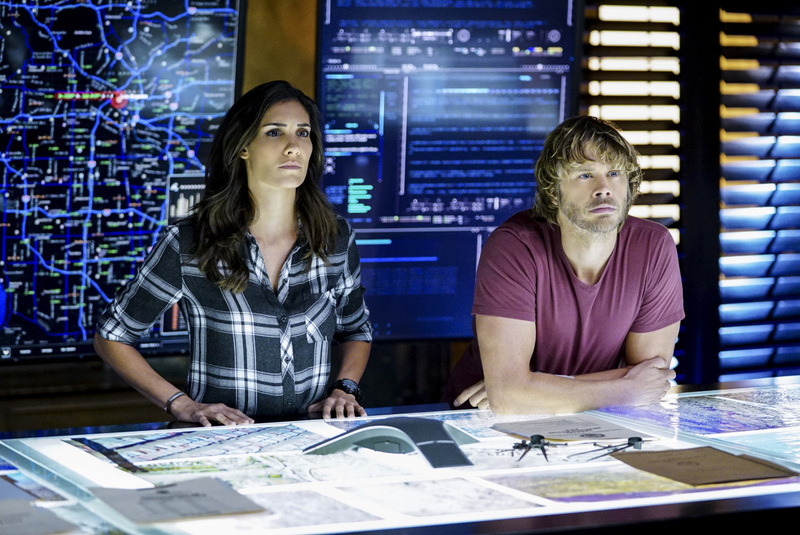 "This Is What We Do" -- Pictured: Daniela Ruah (Special Agent Kensi Blye) and Eric Christian Olsen (LAPD Liaison Marty Deeks). The NCIS team must locate a group of unknown assailants who illegally crossed the border and attacked California Highway Patrol officers. Also, Homeland Security sends over Specialist Sydney Jones (Ashley Spiller), Nell's older and bossy sister, to assist NCIS with the case, on the 200th episode of NCIS: LOS ANGELES, Sunday, Nov. 19 (9:30-10:30 PM, ET/ 9:00-10:00 PM, PT) on the CBS Television Network. Guest stars include John M. Jackson as Admiral A.J. Chegwidden and Pamela Reed as Roberta Deeks, Deeks' mother. Photo: Sonja Flemming/CBS ÃÂ©2017 CBS Broadcasting, Inc. All Rights Reserved. Guest stars in the NCIS: Los Angeles episode “This Is What We Do” include John M. Jackson (Admiral A.J. Chegwidden), Pamela Reed (Roberta Deeks), Jeff Kober (Harris Keane), Andrea Bordeaux (NCIS Special Agent Harley Hidoko), Long Nguyen (Dang), Sammy Sheik (Tobias Thoma / Ahmed Han Asakeem), Zeeko Zaki (Aimon Shah), Ashley Spillers (Homeland Security Specialist Sydney Jones), Karan Oberoi (Fazan Kamsour), Alex Gonzalez (Enrique), Richardo J. Chacon (Customs and Border Patrol Officer), Hugo Garcia (Driver), Tony Curtis Blondell (Guy), and Richardo Walker (CHP Officer).